Made in sizes 1" through 4" with the same size threads on both sides. 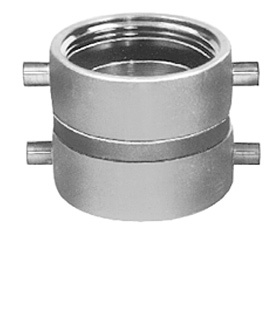 Both ends swivel and either end may be tightly attached while other end will turn freely. Standard pin lug wrenching feature with rocker lugs available in limited sizes.